Rapper Ludacris recently launched a community-driven website called WeMix, allowing users to upload tracks, beats and riffs for feedback or collaboration. This concept has been done to death in recent years and even the promise of being discovered by a record label as a result is nothing new. But a deal with network exchange providers VoodooVox offers something a little different… tracks can now be uploaded via telephone. WeMix already features the standard web-based upload tool, but users can now call a number, enter a code and record directly onto the site. 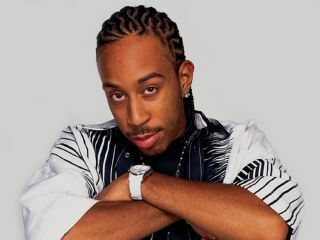 Ludacris spoke to Listening Post about the developments and his thoughts on the music industry: "The old way of making records is a thing of the past. A&R, marketers, the radio game, million dollar videos, predictable producers - this system makes it really tough for new blood or new ideas to rise to the top". The rapper also takes pride in leaving feedback himself. Ludacris' business partner, reality TV producer Matt Apfel commented: "People love it when Ludacris goes on their voicemail and says 'You're great' or 'You need work,' it doesn't matter. Kids love it, they just love the fact that somebody's actually taken the time to listen to their stuff". "The sound quality associated with the cellphone isn't a factor because the point is to represent music anywhere on the production spectrum (and people can still upload via the web). If their idea is good, it has a chance at high-end production, regardless of the sound quality of the original recording", Apfel added.